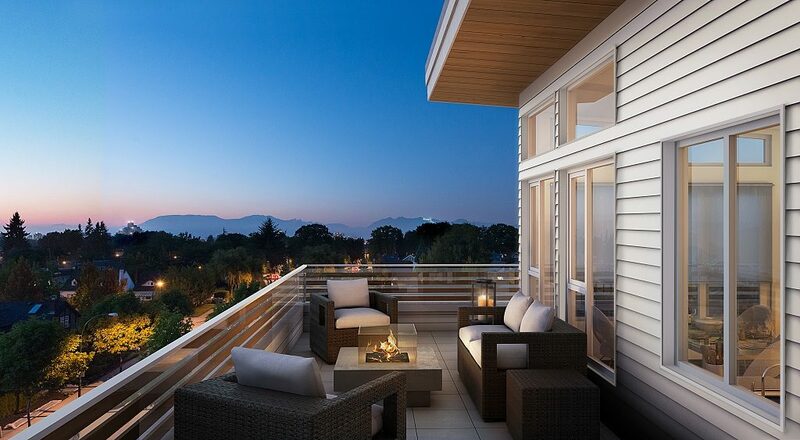 We are excited to share an exclusive first look at the exquisitely crafted townhomes and stunning patios of Bennington House, the new boutique community of 36 luxurious apartments and 6 townhomes by Pennyfarthing Homes coming this May to Vancouver’s Cambie Village. 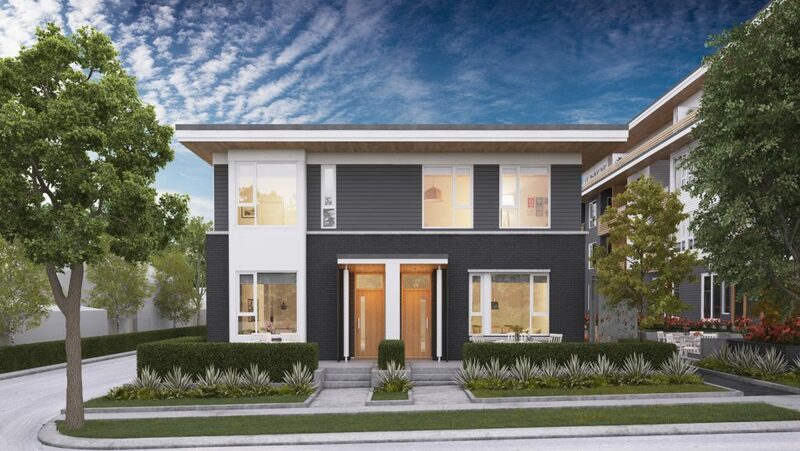 The first image (above) offers a preview of the limited collection of intelligently designed townhomes, which, like the rest of Bennington House, feature an architectural style that blends in with and complements the established Cambie Village neighbourhood. Designed by leading architectural firm Ramsay Worden, homes at Bennington House will feature natural cedar and brick detailing as well as landscaping by Durante Kreuk. The second image gives us a glimpse of the homes’ breathtaking outdoor spaces — the perfect place for residents to enjoy their impressive West Side views. Of course as handsome as these renderings are, they are just of taste of what’s to come as we get the closer to the official launch in May. To ensure you stay up-to-date with all the latest news, be sure to register for the project here. For more information call 604 558 1907, email info@benningtonhouse.ca or visit the website here.